This time of year we are likely to hear "Don't wait until 2019 to get your life in order" along with "Go hard year round, not just for a holiday." While these tropes are nice, they aren't realistic for everyone. Sometimes we need to fail to see where we should be. When you're on the bottom, the only way out is up. Going into a new year it is natural to question what you did, what you didn't do, do some introspection and readjust your goals. This is, in fact, a resolution. 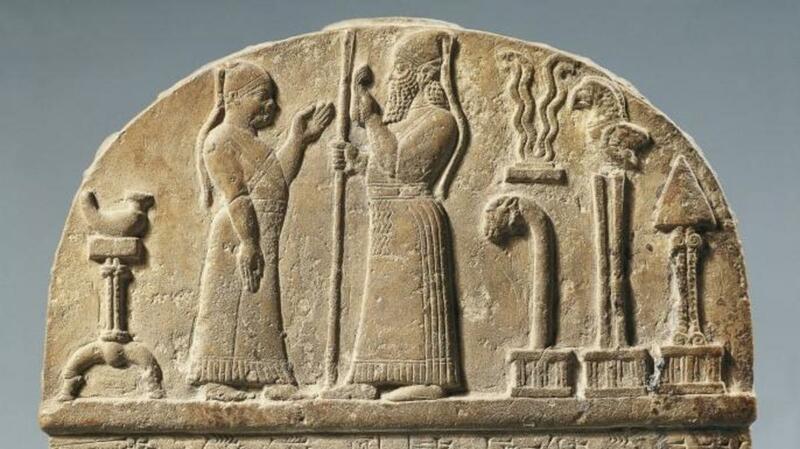 The history of New Years resolutions can be traced back to the Ancient Babylonians. 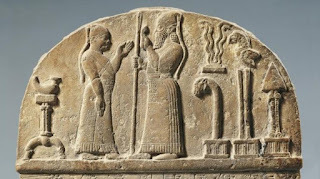 Just before the New Year, they would crown a new king, pledge their loyalty to said King and make promises to the Gods to tie up lose ends, pay debts and return anything they had borrowed from another person. They believed that if they kept their word for the entire year, the Gods would favor them. 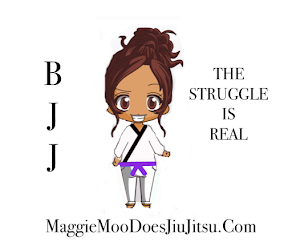 So, you're asking, "How does this apply to Jiu Jitsu?" Simple really. When we set goals and keep them, we see results. 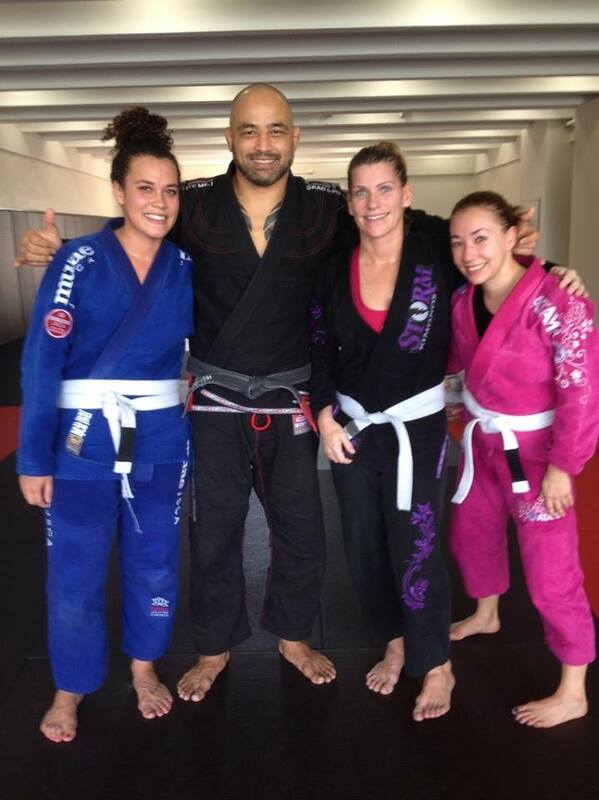 Results are what we crave in Jiu Jitsu. 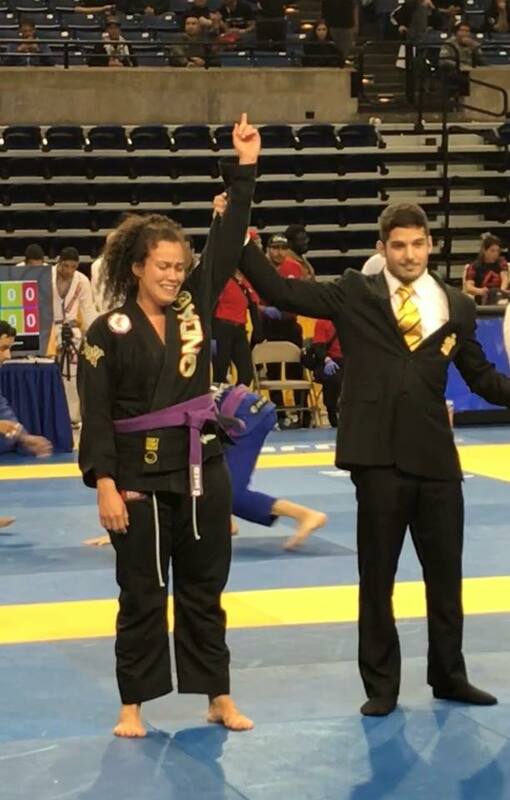 That could be winning the World Championships or Pan Ams, it might be getting your purple belt or just promising you will make it to the gym one more day a week than you did in the previous year. What all of these things have in common is progress. As human beings, we have been obsessed with the idea of progress since the world began. Someone invented the wheel and we suddenly moved forward faster in motion, another discovered that we could make medicine from moldy bread. We have tried and tested ourselves again and again to become the best possible versions of ourselves. Jiu Jitsu is no exception. Once you have tasted a bit of success- weight loss, confidence, winning one of the biggest tournaments in the world- it becomes an obsession. Sometimes, setting resolutions help us to realize, not where we failed or fell short, but rather areas we can strengthen to further our success. Some people train hard year round and make it look easy, while others struggle simply to get to class, day in and day out. Often people will complain "Well it's January 1st, gym is full again. Let's see how long this will last!" In the New Year, the first weeks are full of people with good intentions, pledging to lose weight, do their first tournament or simply have the courage to try something they've been thinking about doing for a long time. If you are on the opposing side and have never struggled with motivation, you train consistently and you've competed successfully, I urge you to make a new goal. Make your goal to help retain those people who might otherwise leave. 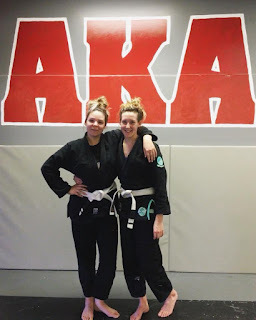 Make your goal to put in extra time with them, the way someone did for you when you were a white belt. We always say "Jiu Jitsu is for everyone." I challenge you to prove it! We are, all of us, in it to be better than we used to be. What will you resolve to do this year to be the best practitioner and training partner you can be? When I've been zoning out during technique and the professor asks "what comes next?" When someone picks you during a competition training and then says "can we just drill?" 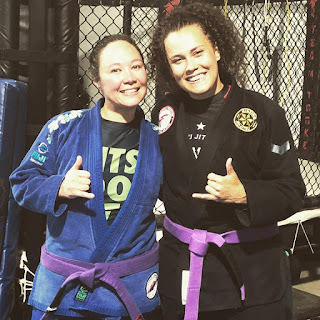 A few months ago a friend of mine lost her partner and asked me "How did you manage to go back to Jiu Jitsu after losing your father? I can't even get out of bed." This was too familiar. We discuss Jiu Jitsu as therapy and for so many of us it is, however, when facing catasprohic grief, getting to training feels like the greatest battle you will ever face. I lost my father (rather unexpectedly) last April and it is a pain like none other I've ever felt. It was like waking up in someone else's life. One of the benefits of Jiu Jitsu is that it helps us deal with emotions, work through difficulty and cope with depression. When you lose someone you love, the loss manifests itself in so many ways. Grief is not neat. It is not linear. It is not reasonable. It doesn't listen to your requests, or your feelings. Grief leaves unwashed dishes in the sink, makes bathing feel like an arduous task, it forgets, creates new physical pains you never knew existed, eats way too much or way too little and grief sleeps. 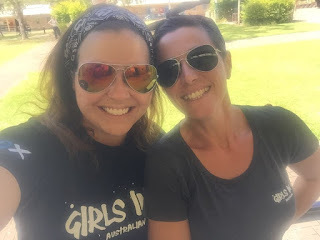 Grief sleeps a lot, until it doesn't, and then it keeps you awake for hours on end.You obsess about how that person smelled, how they walked, the sound of their voice and all of the little things you know you should have said. Grief makes you a relic collecter, who grasps all of the tiny pieces of that person before they fly away. The biggest fear is the forgetting. It becomes an obsession.It comes in great waves of horrible sadness and then profound guilt when you have an enjoyable moment. Grief makes it difficult to reach out, to focus or even enjoy the things you used to love. For me, that was Jiu Jitsu. I spent the first weeks in bed, sleeping, crying, refusing to move unless it was to use the restroom or drag myself to work. I had pains I'd never felt before, I gained weight and I had no interest in doing anything. People reached out and messages went unanswered. One day, my boyfriend dragged me to the gym. 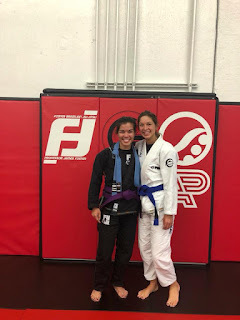 The first day I returned to Jiu Jitsu, I tried my hardest to keep my head down and hoped no one would say "I'm sorry for your loss" or ask how I was doing. The truth is, I'd rehearsed what I would say for hours each day "Thank you. I'm sorry too." My team mates were persistent in reaching out to me. They were unrelenting even if they weren't asking me "will you be training tonight?" They were encouraging, even though my game was completey off. My brain was foggy, my hands didn't work, I walked around in a daze for weeks at training. Each day I would tell myself the goal is just to get out of bed even if everything hurt. Then the goal became to drive to class. Each day it was a little more "I will remember a technique" or "I will roll a few rounds." 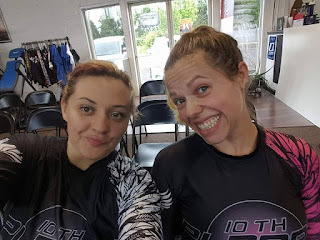 When grief became a bottomless pit of disbelief and dissillusionment, Jiu Jitsu was still there and more importantly, so were my team mates. 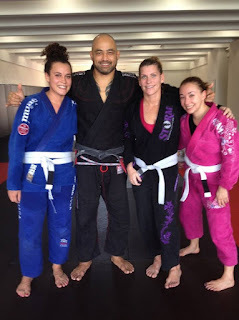 The first people to check in on me were my Jiu Jitsu partners past and present. They didn't treat me like I was fragile or broken, they didn't take it easy on me and they pushed me harder than I ever remember working. They reminded me that I didn't have to be great, I just needed to keep going. 1. Set small attainable goals- "I will do one class a week" etc. 2. Be patient with yourself as your body/mind adjust to a new reality. 3. Realize nothing about grief is linear and some days will be better than others. 4. Find team mates to hold you accountable and some you can confide in. 5. Think about training as a series of steps. "If I can achieve this, next I will move on to this"
6. Set a long term goal to work towards, something that requires your daily attention. 7. Let yourself grieve: be angry, cry and let yourself heal. The healing hasn't been as fast as I wanted it to be, but when my hand was raised during the final match of Pan Ams, I felt absolutely triumphant. Sure, getting gold was great, but feeling like I did something to honor my father was the best I'd felt since I'd lost him. It was a symbolic triumph over grief that had taken so much from me. The memory of my father motivated me to do my best and it still does. Too often we hear and believe the notion that women can only exist in competition together. We perpetuate the idea that we're too "catty," "too insecure," or "too emotional" to truly have meaningful relationships with other women. 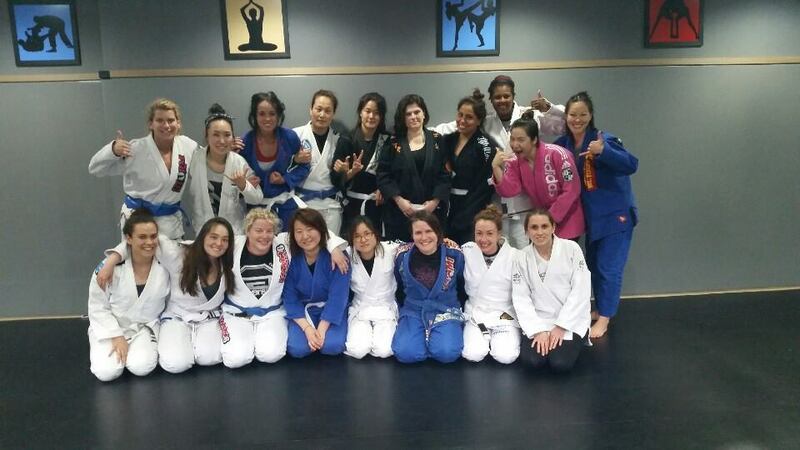 Fortunately, Jiu Jitsu has shown me and the many women who train, otherwise. I have met a community of brilliant, empowered, strong women and they are some of my favorite training partners. 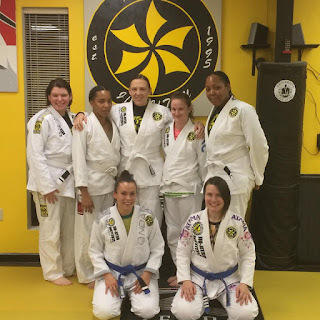 There are so many benefits to training with other ladies. 1. A chance to test youself before a competition. 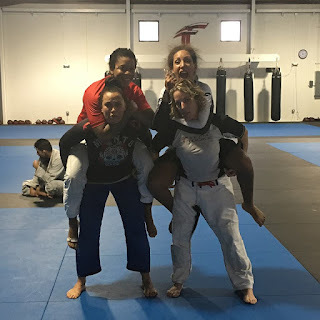 I love my male training partners and they are amazing, but training with another woman is hard to mimic. It is so different rolling with women and I also feel so prepared for tournments when I get to train with ladies with different styles. 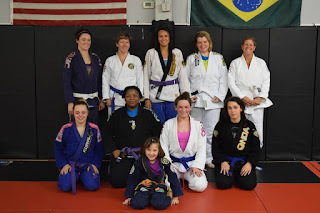 This is one of the many reasons I am grateful for the organization Girls in Gis, which allows those who may not have the opportunity to cross train, to train with other women in a positive environment. 2. Really genuine friendships. 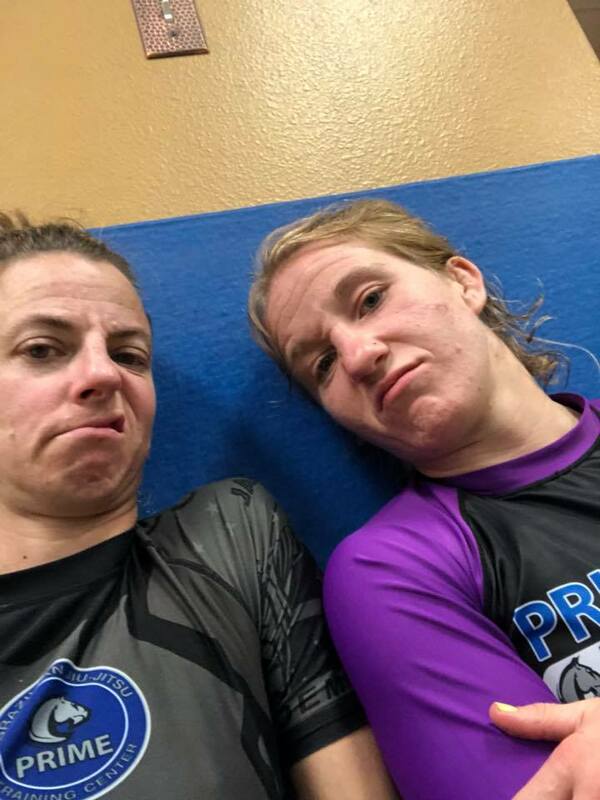 There is something to be said for literally spending minutes trying to choke your partner, only to be hugging moments later. It's sometimes really difficult to make friends as an adult. 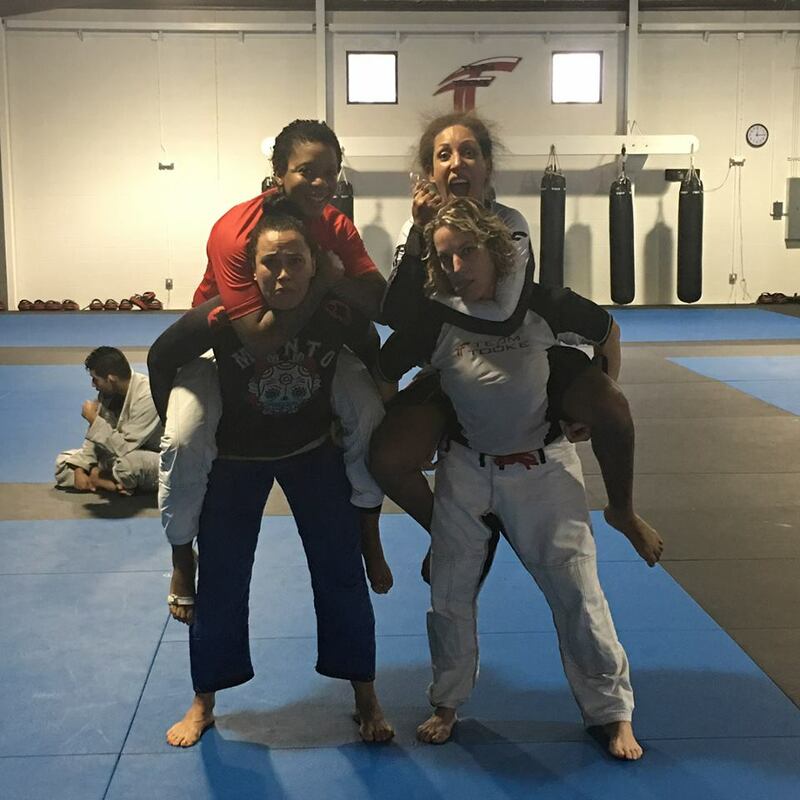 There is a bond built between Jiu Jitsu ladies that is like none other. Especially when it comes to encouraging and helping each other out- whether that be assisting them with all of their crazy methods to make weight, or being right there screaming your lungs out for every competition. 3. Redefining female relationships. 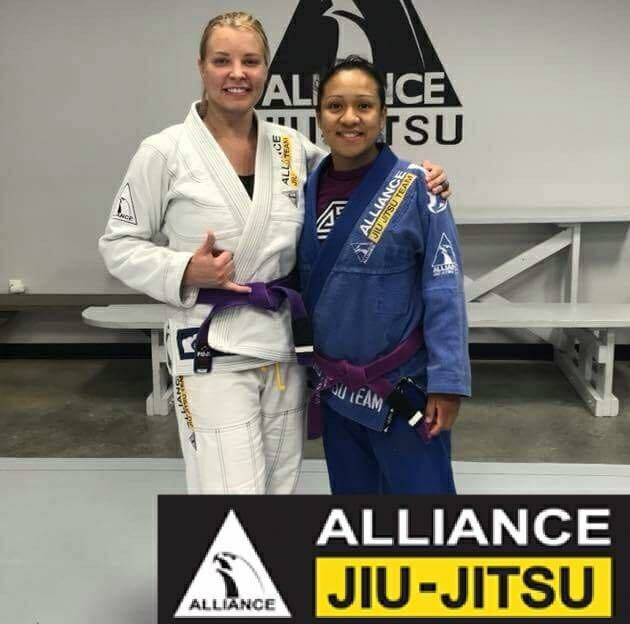 We have an amazingly unique opportunity to coach new women through the toughest parts of their Jiu Jitsu career. Having an upper belt lady early on to encourage you, show you the ropes and walk you through the plateaus and frustrations is invalable. Having great female role models definitely strengthens your gyms retention rate, but also grows the sport. 4. A different perspective. Although, I have always had phenomenal male black belts, there is something to be said for the detail other women see. Occasionally positions need modifications and it's amazing to have someone else who can say "That's not working. Try it this way. It always works for me." 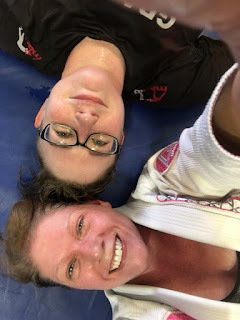 Training with women of all levels, especially those higher than you, can provide so much insight on little technical aspects that we occasionally miss when rolling with a much larger, stronger man. 5. The endless recognition and positivity! I've never met a better support system than another woman determined to rise! 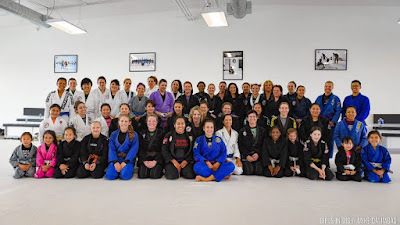 There are few things in life that compare to having a tribe of women in your corner. I am so grateful for the positive vibes and celebrations of our victories! 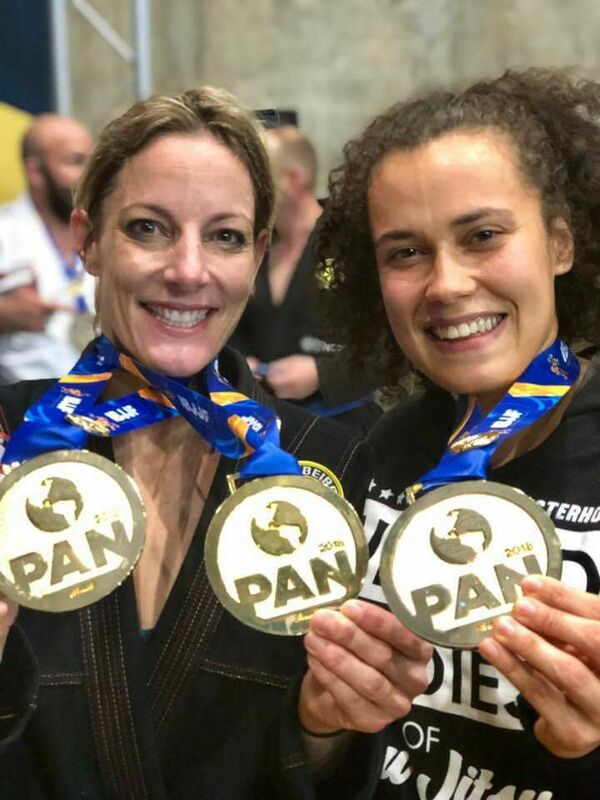 Where would we be without our phenomenal female training partners?